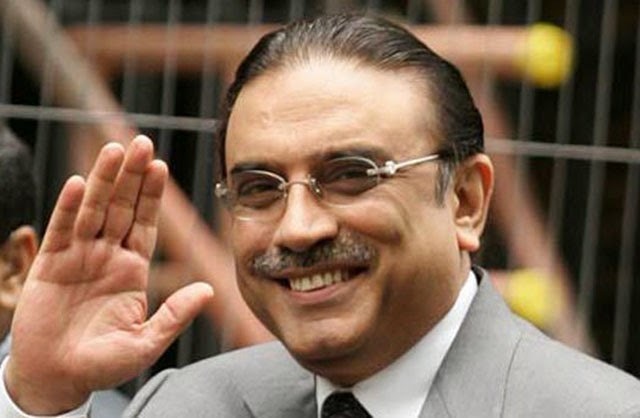 President Asif Ali Zardari has become the only President in history of Pakistan who has left the office gracefully. It’s incorrectly believed that he is the only president to complete his term in Presidency. Fazal Ilhai Chaudhry also completed his tenure as President and resigned in September 1978 to allow Dictator General Zia-ul-Haq to hold the office. Legacy of President Zardari has been mixed throughout the course of his presidency. Die Hard supporters of PPP have always supported his each and every move without any rationale but common people have mostly criticized him for corruption, Bad Governance, nepotism and politics of Patronage. Asif Zardari became President in 2008 when Dictator Musharraf Resigned. Asif Zardari most notably takes the credit for restoring the 1973 constitution in its original form by Passing 18th Amendment. He handed over all his powers to Prime Minister which is commendable. It’s also Asif Zardari who takes the credit of giving greater autonomy to smaller provinces and providing them immense funds by facilitating consensus on 7th NFC award. Apart from that, He introduced Benazir Income Support program which is popular among under privileged sections of the society. Apart from that, he is also credited for giving a representative government to Gilgit Baltistan through a Presidential ordinance and Extending Political Parties Act to FATA. The constitutional reforms are the main thing for which Asif Zardari is praised but the other side of the picture is very bleak. Asif Zardari virtually controlled the federal government from Presidency and made all the big decisions. He sidelined the Old Stalwarts of PPP like Aethzaz Ahsan and Makhdom Amin Fahim initially but later patched up with them without making any substantial compromises. He made his close friends in charge of important ministries and institutions. The corruption that took place under the PPP led government was never heard of. The biggest corruption scandals in history of Pakistan occurred during the tenure of Zardari Led PPP government. Due to its poor performance and corrupt perception it had to face a humiliating defeat in General elections in all parts of country excluding Sindh. Now, Asif Zardari is gracefully departing the presidency, It’s indeed a great achievement for him and so is the smooth transfer of power to another democratic government. However all the steps for which Asif Zardari is praised didn’t bring any improvement in the lives of ordinary civilians. The life of an Average Pakistani worsened during the time when Zardari hold the reign of Powers in Pakistan. This is the reason that Asif Zardari is the most criticized Politician in the history of Pakistan. PPP supporters argue that its government couldn't perform because it had to struggle for its survival throughout its tenure. That’s true to some extent but despite that it had all the powers which can be used for improving the affairs of the government but instead they were used for corruption. Asif Zardari went to Lahore immediately after leaving Presidency and he to interacted with the angry workers of PPP. This is a strange attitude of Pakistani Politicians that when they are in power, their party workers don’t have access to them and when they are out of power, they want their workers to forgive them with the promise that in future they will not ignore them. Same sort of promises will be Made by Asif Zardari to his angry and disillusioned Jiyalas. Asif Zardari is out of Pakistan’s political scenario By no means. His Party runs the government in Sindh and has the Majority in Senate till 2015 elections for the upper house. How Zardari do politics outside government will be the greatest test of his political skills and that will determine his Real legacy.